Pay more out of pocket than you expected? Find the insurance company has made a mistake (one that could have cost you hundreds of dollars)? Choose to pay cash rather than make a claim because it will cost you more in increased rates? Wonder exactly what your insurance company is paying for? It happens all the time. People, just like you question why they pay for insurance when they don’t seem to get any benefit from it. All they see is one problem after another. Take Susan for example. She received a bill in the mail that she didn’t understand. After calling her insurance company, she realized they had incorrectly entered some of Susan’s information. One quick change, and Susan’s problem was resolved. What if Susan hadn’t made that call? Insurance is not something you should be spending time worrying about. It’s there to help you feel better, more secure, not to make your life miserable with misunderstandings and inaccurate assumptions. So, what can you do about it? Well, naturally we’re going to suggest that you start using an independent insurance agency. An independent agent is there to help you with the best possible insurance to meet your needs. They can help you figure out what policy you need. They will be there to support you if there are any challenges with your insurance coverage. They work for you, not the insurance companies. 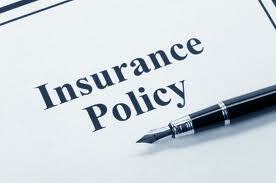 If you’ve had some challenges with insurance companies in the past, we want to know about them. Feel free to post your comments below. If you are looking for someone to represent you and simplify the insurance process, then be sure to give us a call. Next week, we’re going to start introducing you to some of our agents who would love to help you find policies that fit your specific needs.